Moolmans, trading as Moolmans Mining Botswana, operated in Botswana for over a decade. Our client, Tati Nickel Mining Company (Pty) Ltd, is owned by Norilsk Nickel Mining Company (85%) and the Government of Botswana (15%). Norilsk Nickel is the world’s leading producer of nickel and palladium, having operations in Finland, South Africa, Australia and Botswana. 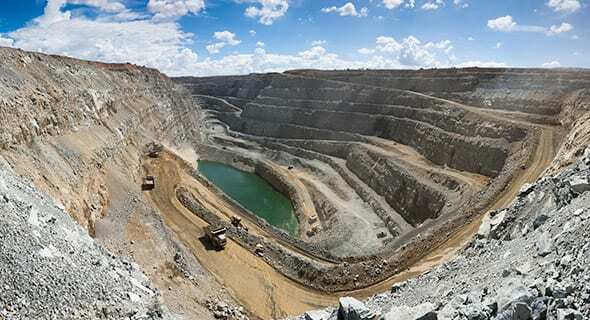 The Phoenix Nickel Mine is one of two Tati Nickel operations in Botswana and is located 35km east of Francistown. This open pit mine is built on a sulfide deposit of copper and nickel ores. Mining operations began in 1995 and the original five-year contract was awarded to Moolmans in 2001 with production starting in March 2002. Further awards saw the contract extended to 2015. Moolmans Mining Botswana was contracted for drilling, blasting, loading, hauling of waste and ore, crusher feed and dewatering of the pits. Some 35 million tonnes of waste and ore was mined annually, while some 12 million tonnes of ore was fed through the crushers. Prior to the commissioning of the new concentrator facility, the mining operation was highly selective. The ore body at Phoenix Mine was quite complex and it was critical to correctly identify and selectively mine the high-grade sulphide ore, which is blended with lower-grade run-of-mine to ensure there are no short-term grade fluctuations. The site employed 860 people, the majority of whom were Botswana citizens.